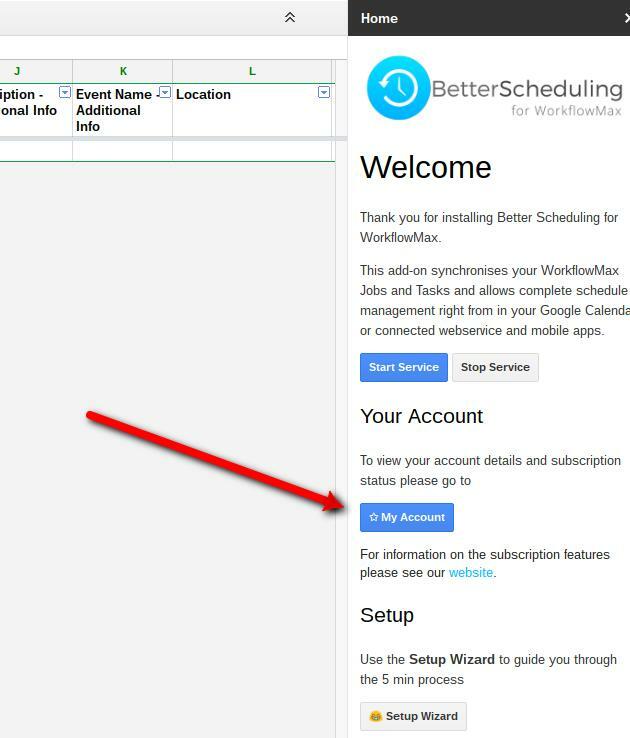 When inside the Better Scheduling G Sheet you can see the status of your account by clicking my the ✩ My Account button. This means you are currently on the 30 day fully functional free trial. Enjoy! Your trial has ended and the service will not sync until you subscribe. If you need an extension just jump into the chat messenger inside the sheet or on our website, we'll be happy to help you out. You are an active subscriber and get all the great additional benefits! We love you even more, thanks for subscribing.